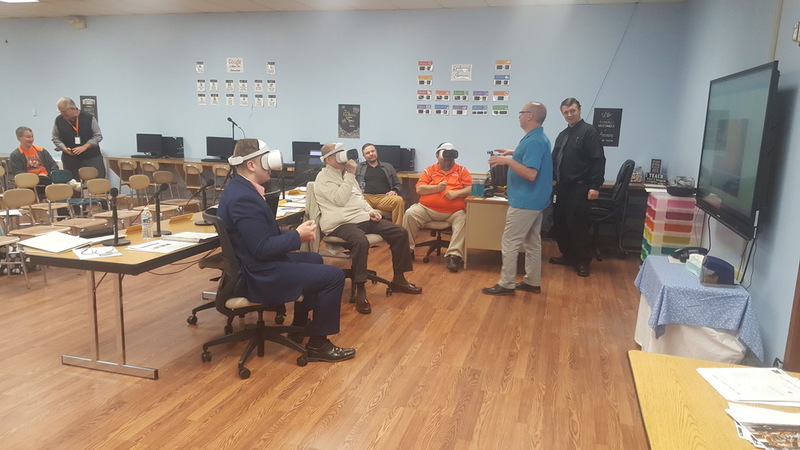 Through the use of virtual reality headsets, the Board of Education members were presented with a lesson by Mr. Ricciardulli and Mr. Sosack, in which they were simulated into a Mission to Mars. Board members were also able to experience other tours that are available using Lenovo Daydream VR headsets. Students will be able to use the headsets to visit places they may never get to experience. The Lenovo system will help to provide lessons and experiences that will help to supplement curriculum across all subjects.